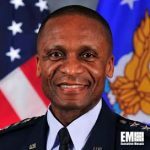 U.S. Air Force Gen. Darren McDew, chief of U.S. Transportation Command, has said future conflicts facing the military could include a “near-peer” nation that could match U.S. technology and capacity, DoD News reported Tuesday. Karen Parrish writes McDew told a National Defense Transportation Association meeting a near-peer country could spur contested strategic communication lines and threaten the U.S. military’s freedom of movement in air, space, cyber and surface domains. “In this global, transregional nature of war, we have to consider all the disruptive influences that we’re going to face,” McDew said. “We have got to better leverage speed, range and flexibility that is inherent in some of the things we do, and look at how we do things smarter, and how we command and control in a different way,” he added. The commander said current command and control investments do not align with the transregional nature of future adversaries, Parrish reported. McDew noted cyber is an operational and commander issue that should get a higher level of attention, DoD News stated.